How many tricks and traps are there in the sea of opening theory? From the simplest ones to the more advanced, this amazing new video series by IM John Watson shows you how to fool (or not be fooled by!) your opponent, who might not know the intricacies of an opening. You'll learn many new tricks and traps in this 9+ hour videos series! From the simplest ones to the more advanced, IM John Watson in this amazing video series shows you how to fool (or not be fooled by!) your opponent, who might not know the intricacies of an opening. 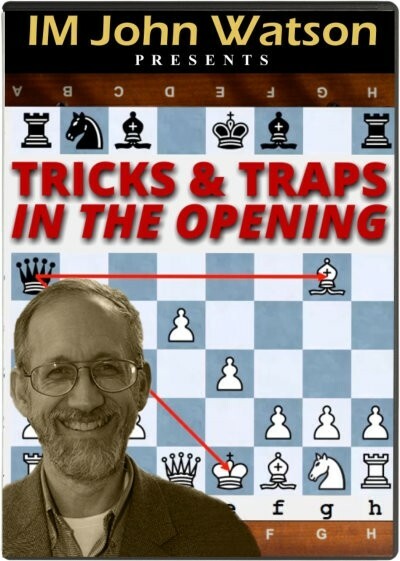 The course is organized by general opening, and in 15 videos our opening guru IM John Watson provides you with tools that will make your opponents exclam "How did this happen?" By watching this video series, you'll sharpen your tactical sense, understand better your favorite opening, and broaden your general knowledge about openings.